A group of leading Architects, with whom we have collaborated on various projects, were commissioned by their client to design a new country house in an Eighteenth century, formal style. 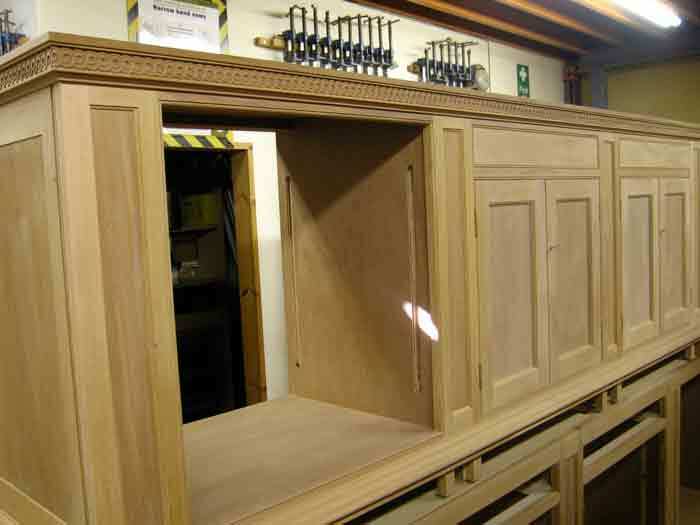 As key cabinet makers in bespoke furniture design and construction, they approached us to supply fine quality bespoke library bookcases, worthy of such an imposing property. The bookcases were to be set either side of the fireplace, to feature a finely hand carved dado, with the cabinets to below the dado featuring a combination of open fronted areas for portfolios, doors to other areas, and shallow drawers immediately below the dado, set directly below a glazed area within the top, for the display of small, collectable items. 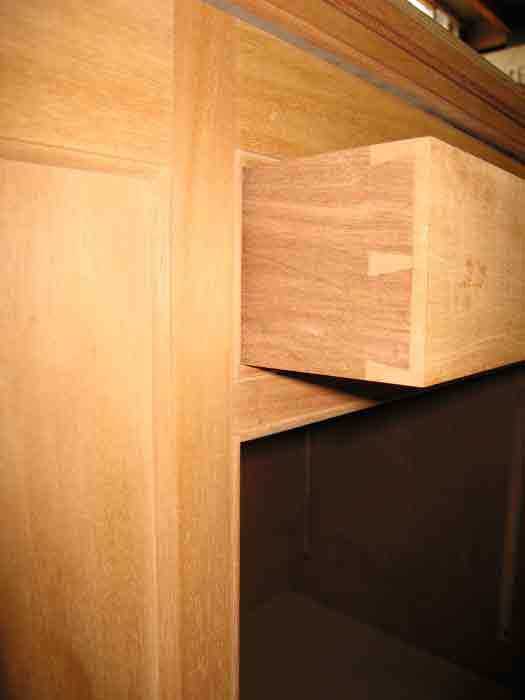 As befits all elegantly handmade furniture, these drawers were beautifully hand dovetailed and provided with concealed lighting to best illuminate the items within. 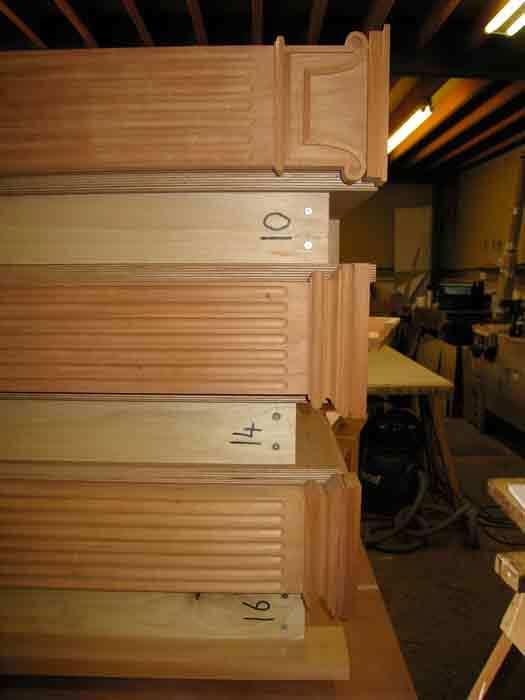 Fluted pilasters featured carefully chosen mouldings to their base, with a suitably styled capital to their head. The height of the room in which the bookcases were to stand, permitted the bookcases to be of a good height themselves, whilst incorporating their own elegant cornice and frieze arrangement.